Well, here it comes. The staged asteroid threat, as pre-told by Werner von Braun via his assistant Carol Rosin. Von Braun warned her before his death that the outside threats, i.e. the cold war, staged terrorism, asteroids and eventually an alien invasion, were ultimately to justify the weaponization of space - which of course implies the weaponization of everything else in between which we've seen metastasize in this techno-military scientific age. While this may seem a far reach for some, like the protocols his outline has come true - so far. What might "bake your noodle" is the question of where has this threat been all this time - on some subliminal shelf? Yes, we've been aware of this obvious threat as evidenced by pock marked planets in our solar system including our own, but why this increased recent activity and intense directed interest? Think about it. Concurrent with this "threat" is the proliferation of earth and space based weapons, including plasma technology, capable of "fiery" bolts from the sky. Too conspiratorial for you? You're just behind the curve. These would-be planetary controllers are so scientifically advanced it would make your head swim. Next week in Germany, representatives of all mankind's space-faring nations will get together in a room to begin coordinating efforts to prevent the end of the world…or at least to figure out how to identify and prevent really big space rocks from smacking us around like that meteor that hit Russia last year. It is. While real science considers such issues, Hollywand's fear provoking move machine is way ahead of the curve, for some reason. Is it conditioning? Isn't it all conditioning, with a little bit of sugary honest truth added for credibility? The megalomaniacs in charge right now seem to think they can do anything. Tower of Babel anyone? Ha! Just wait until this madness meets its natural end. Well, here it comes. The staged asteroid threat, as pre-told by Werner von Braun via his assistant Carol Rosin. ...were ultimately to justify the weaponization of space - which of course implies the weaponization of everything else in between which we've seen metastasize in this techno-military scientific age. What might "bake your noodle" is the question of where has this threat been all this time - on some subliminal shelf? Yes, we've been aware of this obvious threat as evidenced by pock marked planets in our solar system including our own, but why this increased recent activity and intense directed interest? Freeman's award-winning documentary on HAARP. The U.S. Government has a new ground-based "Star Wars" weapon which can change weather patterns, jam all global communications, unnaturally impact the earth's upper atmosphere, and negatively effect your health. Concurrent with this "threat" is the proliferation of earth and space based weapons (above video), including plasma technology, capable of "fiery" bolts from the sky. Too conspiratorial for you? You're just behind the curve. These would-be planetary controllers are so scientifically advanced it would make your head swim. 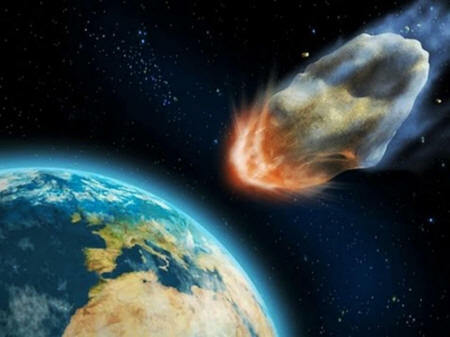 Next week in Germany, representatives of all mankind's space-faring nations will get together in a room to begin coordinating efforts to prevent the end of the world… or at least to figure out how to identify and prevent really big space rocks from smacking us around like that meteor that hit Russia last year. We've all watched those scenes in science fiction movies where the leaders of the planet (or planets) all sit around a large table and come to a consensus about the best way to confront the latest existential threat. I'm always left wondering where the heck they get such a huge table, and how they managed to come up with a unanimous plan of action in less than 5 minutes. It's a little different from the endless gabfest of political posturing translating to minimal real-world action that is a meeting of today's United Nations. The first ever meeting of the Space Mission Planning and Advisory Group (SMPAG, pronounced "same page" - see what they did there?) set to be hosted by the European Space Agency on February 6 and 7 sounds a little more like the Hollywood version of consensus-making, just with less melodrama and fewer ridiculously beautiful people everywhere. While real science considers such issues, Hollywand's fear provoking move machine is way ahead of the curve, for some reason. Isn't it all conditioning, with a little bit of sugary honest truth added for credibility?